National Vocational Qualifications are “on-the-job” training courses – NVQ health & safety training is practical, dealing with real-world scenarios specific to your job role within your industry or niche market. There’s nothing quite like an NVQ, training that focuses entirely on your role within a company. You’ll learn how to properly record, report and handle issues at the standard of a professionally trained health and safety officer or persons’ responsible for health and safety activities. ProQual – Who are They? ProQual is an Awarding Body recognised and approved by Ofqual with an ever-expanding portfolio of qualifications across a range of industries. SHEilds promotes health and safety industry focused NVQ training in conjunction with this esteemed qualification developer. Working closely with SHEilds, ProQual is a progressive awarding body of NVQ training courses. Teaming up with our expert NVQ assessors you’ll receive the very highest levels of training whilst working “on-the-job” in your current position. During training, you will undertake a complete review and overhaul of your existing systems. This is a massive benefit to the company you are working for, on top of the obvious personal benefits you’ll receive from health and safety training. 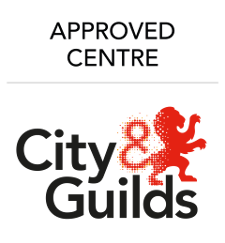 City & Guilds – Who are They? City and Guilds are a global leader in vocational skills development. City & Guilds students span across a variety of industries meeting the needs of today’s progressive workplace requirements. A National Vocational Qualification (NVQ) is a work-based award that involves assessing an individual’s performance in the workplace. To obtain an NVQ, students must demonstrate that they can competently carry out work-related activities to the required standard of their job role.